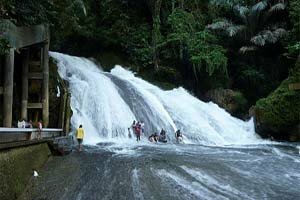 Makassar or mostly known as Ujung Pandang is the capital of Sulawesi Selatan Province and the biggest city located on the southwest coastal area of Sulawesi Island. 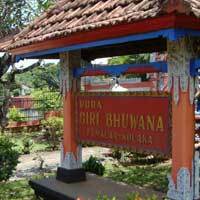 This city is lived by many ethnic groups such as Makassar, Bugis, Toraja, Mandar, Buton, Javanese and Chinese. 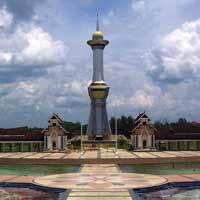 This city is also known as Daeng City and Anging Mamiri City. 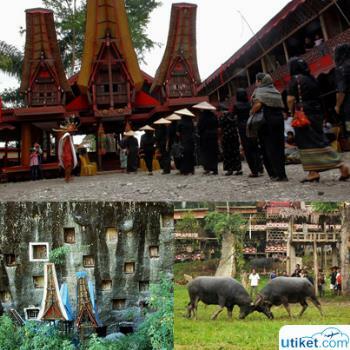 This city directly facing to Makassar Strain has many interesting tourism spots you can visit. 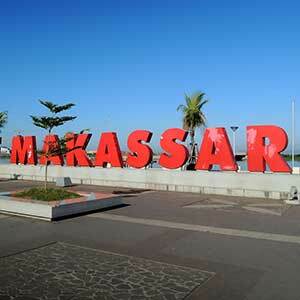 Makassar used to be the name of a trading port of the twin kingdom, Gowa and Tallo Kingdom before they were united as Makassar Kingdom. The name "œMakassar" itself was stated on an old Javanese writing, Negara Kertagama, written by Mpu Prapanca in 1364. 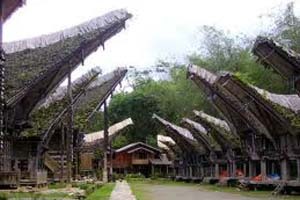 This writing also stated Luwu, Bantaeng and Selayar. 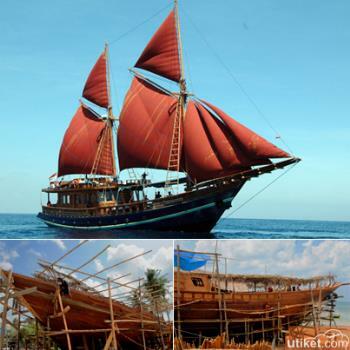 There was a time when Makassar became a world-known trading port. Makassar's significant development waa not far from the changes of international trading arrangement for the trading central in Malaka was conquered by Portuguese in 1511. 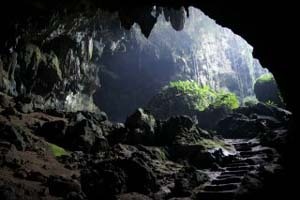 One interesting place you can come to in Makassar is Fort Somba Opi. In this fort you can see remain of a 9,500 kg cannon from Gowa-Tallo Kingdom era. 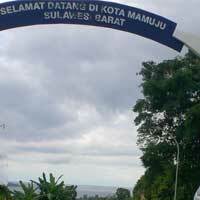 Another one is Fort Ujung Pandang or Fort Rotterdam which also inheritted by Gowa-Tallo Kingdom. 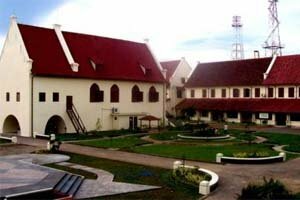 In this fort, you can find La Galigo Museum offering historical references of Makassar. 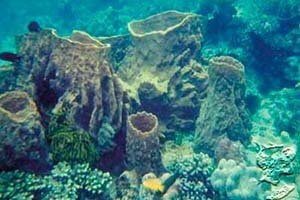 You can also go to Paotere, a port located in Ujung Tanah sub-district, Makassar to see different scenery like no other. 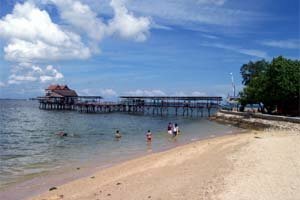 One well-known beach in Makassar is Losari Beach. You can just walk around there or enjoying night atmosphere by hanging out in some small cafes or restaurants available at Losari Beach. If you're interested in jetskiing or banana boating, you can come to Akkarena Beach for the facilities there offer you for jetskiing or banana boating. There are also water tower, children playground, restaurants, bathing place, meeting room, and beach volleyball court. 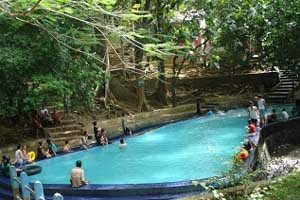 Another place to visit is Kayangan Island where you can swim comfortably for there are many kinds of fish you can see. In Kayangan Island there's also fishing spot available. This place is located 0.8 km away from Makassar and not so far from Soekarno-Hatta Makassar Harbor. Pisang Epe is one typical food in Makassar. This food is made of flattened roasted raw banana and mixed with brown sugar water. You can find this food in every corner of Makassar and perfectly eaten while it's warm. Another typical food of Makassar is Coto Makassar. You need also to try Pallu Basa made of beef innards served with rice. For beverage, there's Pallu Butung. This beverage is made of sliced banana and cooked with coconut milk. Then it's mixed with flour, sugar and served with syrup.